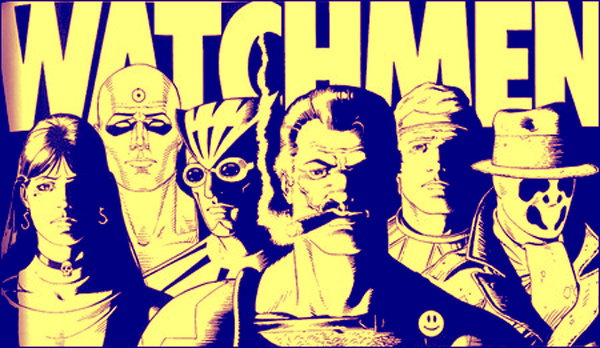 The Watchmen comic is regarded as one of the finest stories in DC’s comics catalog. If you’ve never read the Watchmen comic, then the animated motion comic is definitely the next best way to experience the universe. The Watchmen plot revolves around the investigation of a masked vigilante’s death which unravels into a scheme much larger and sinister then anyone involved could have imagined. The setting of the story is an alternate universe in which, earth is on the brink of Nuclear war due to the departure of a super being named Dr. Manhattan. This threat is felt throughout the world and casts a dark shadow over the tone of the story. This tone is one of my favorite aspects of the series. No one is safe; not even the people that you trust to protect you. One of the reasons the story is so good even to this day is the fact that the story can be relatable to modern times. The Watchmen contains more than just political overtones; The Watchmen story is a direct and unreserved warning of what could possibly become of the world; minus the blue guy of course. The message “Who Watches The Watchmen” is lain in graphitti upon the walls of the crime ridden streets of the world. A suitable message; which begs the question and general discussion; who holds those accountable, who are seemingly untouchable or believe they are? One of the most interesting points of the story was in the self exile of Dr. Manhattan. A man who sees the past, present, and future. His departure of earth sets in motion a series of meticulously crafted and planned events back on earth but that’s not the part that intrigued me. For a ‘man’ who can be or have anything he desires, he eventually grows bored with humanity and everything that comes with them: Things such as their violent nature or their incapacity to see logic when it is right in front of them. Dr. Manhattan is pleaded with to return to Earth but upon learning that the woman he loves has been with another man, there no longer is anything left to tie him down to earth. What I find remarkable is that even through this he sees that life is not meaningless. He saw a reason for humanity in the pain of the one he loved. The actual visuals of the motion comic are what you’ve come to expect from the comic. Dave Gibbons extraordinary and original work wasn’t altered dramatically. It’s obvious some slight recoloring and touch-ups on illustrations were done but nothing significant. The series is accompanied by a great soundtrack. Two memorable pieces are the opening title music and the ominous composition for the scenes of the Tales of The Black Freighter(a masterful interwoven subplot). What really boggled me was how they would do the transition from panel to panel.They get away with it by actually showing characters completing their actions on the screen such as walking, interacting with objects, or other people. The animation is done in such away that you forget that its actually a comic. The only fault I can see would be in their avoidance of lip sync. This could have been done but their decision not to was a wise one in my opinion. I always wanted to read The Watchmen comic but sadly never got around to it. I watched Zack Snyder’s adaption of the critically acclaimed graphic novel and was subsequently driven to read the source material. The film, although it was pretty good, doesn’t compare. It was created and altered just enough so that it could please a large audience but while at the same time trying to retain the qualities that make the source material so good. It was stuck in between alienating fans and losing money for the studios or compromising for marketability. In no way am I saying that Zack Snyder’s interpretation was bad but it doesn’t have the depth that the full comic entails What makes the comic so good is that the universe is extremely believable and rich. All the material can’t be fit into a two hour plus film. Lawrence Gordon an eventual producer of the 2009 film once believed that The Watchmen Comic was unfilmable and would be better as 5 hour miniseries. That’s basically what your getting here +1 hour or so. If your not into comics this may not be for you but if you are a fan this is exactly where to go. You get a faithful reconstruction of the comic in animated form. This may not compete with a fully animated comic but the way this work was done it definitely leaves the impression that it could be possible. I’m anticipating eagerly if they will do something similar for the Before Watchmen series that is finally among us. This entry was posted in Television Reviews, Uncategorized and tagged Comic, drama, entertainment, Motion Comic, Review, Watchmen. Bookmark the permalink.